Underwater living sculptures attract marine life – and tourists. An underwater sculpture park – with no less than 20 living artworks that promote marine life – may be developed in the waters between Snapper Island and the Tollgates. The proposal has been positively received by Marine Parks and is backed by the Batemans Bay Chamber of Commerce as a tourist attraction linked to the already successful Sculptures on Clyde. The park will be established on the sandy ocean floor just off the coast of Batemans Bay and will be linked by a trail of sculptures to one of the beaches between Batehaven and Surf Beach. Sculptures will sit at depths of 20 – 2metres, accessible for both divers and snorkellers by land and by boat. The sculptures will come from a variety of sources, including from community workshops where everyone gets a chance to be artistic, make a fabulous sculpture – and then sink it! Donations of living sculptures may also come from artists or from the Sculpture on Clyde exhibitions. The benefits to the community are equally matched by the benefits to the marine environment. In many parts of the world, underwater sculptures are creating habitat for marine life and helping the recovery of destroyed coral reefs. Nine impressive student sculptures have already been submitted for exhibition in the Student Sculpture Walk which will run in conjunction with Sculpture on Clyde August 25 – September 2. Three local high schools will also submit students’ artworks for viewing by on a sculpture trail through Batemans Bay’s CBD. The young sculptors will be in the running for a $100 prize, as will the shop owners with the most outstanding display. A map will mark the spots where local students’ works are exhibited, and families and visitors will be encouraged to walk the CBD in search of these artistic treasures. The end point will lead treasure hunters to the amazing indoor sculpture exhibition of works competing for some of the $60,000 in prize money as part of the Sculpture on Clyde. Local businesses are being approached this week and asked to exhibit sculpture in their windows. 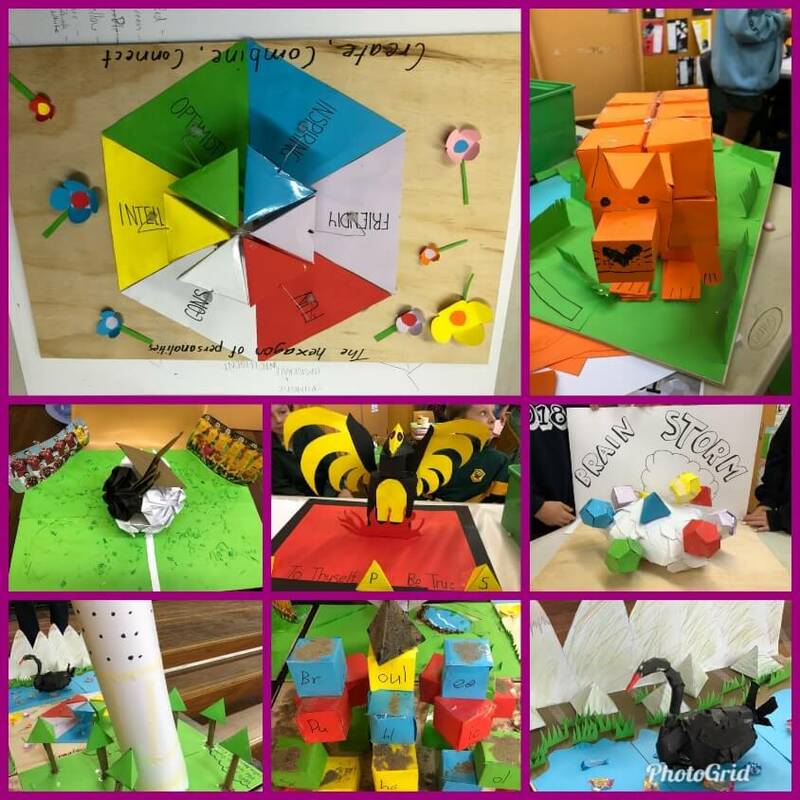 The nine sculptures already in the collection were created during the Academic Challenge between local schools in which students had one day to make a sculpture using geometric lines and platonic shapes. They had limited resources and were expected to minimise waste, as well as deliver a presentation on the meaning and method behind their creations. “It was an extraordinary day and a privilege to see these young artistic, mathematical minds at work,” said Sculpture on Clyde committee member and Academic Challenge judge, Frances Harmey. Anyone interested can contact Frances Harmey at frances.harmey@gmail.com or through the Sculpture on Clyde website and Facebook page. Save the Date – it’s on again! Batemans Bay’s Sculpture Walk is set to expand this year as plans for the second Sculpture on Clyde power up. Keep the dates August 24 – September 3 clear because international as well as national and local artists are already expressing their interest in entering a sculpture of distinction, all vying for the $50,000 prize. Last year’s Acquisition Prize winner “Bouyansea” at Mena’s Point has acquired celebrity status, stopping traffic on Beach Road, and “Duet” by Dora A. Rognvaldsdottir has been installed in the Stockland precinct for everyone to enjoy. The 2018 winner will also be installed along our waterways and will add to our world class Sculpture Walk. The inaugural Sculpture on Clyde attracted many locals and tourists who were impressed by the diversity of talent on display. The event also aims to promote Batemans Bay as an Arts destination. Local restaurants and accommodation places are joining in with special packages for the event.